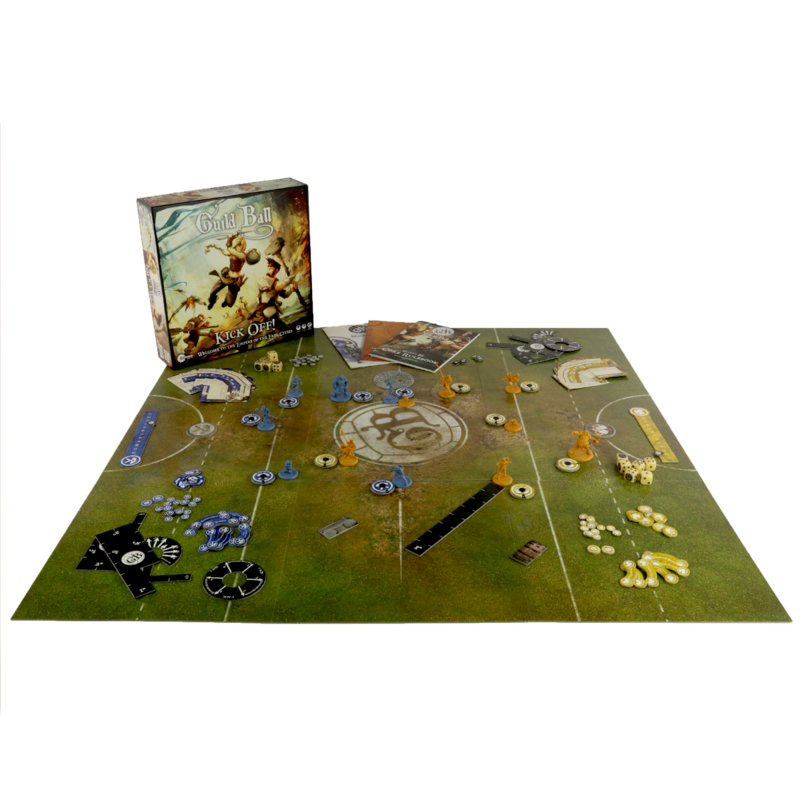 Guild Ball is a fast-paced mob football skirmish game that takes place in the Empire of the Free Cities. Victory comes with carefully constructed plays and counter plays with emphasis on positioning and resource management. Anybody can pick up the ball and give it a kick, but only the most experienced coach can earn the title of Guild Ball World Champion - decided each year at SFGs own convention SteamCon. Your Guild consists of a deep roster of players for you to choose from. You will always need to pick a Captain, a Mascot, and four Squaddies. These players will work together towards winning glory for their Guild. Each Guild has a distinct identity, and playstyle, meaning that you'll always have something new to try out, and plenty of variety in opponents. READY TO GET ON THE PITCH?